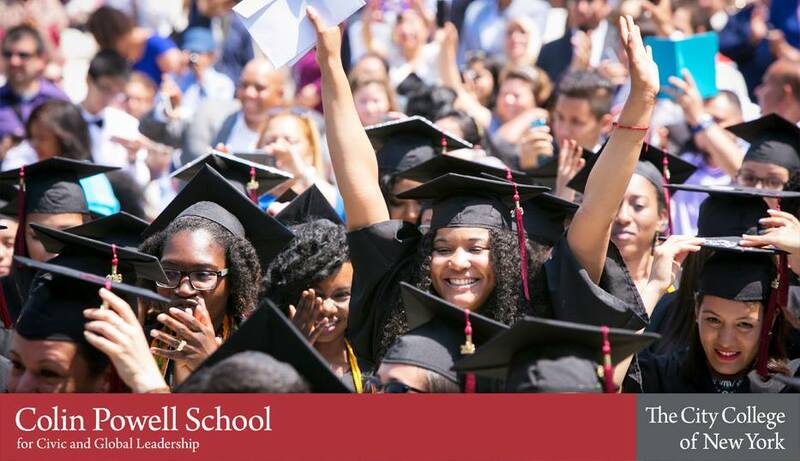 This past year our fellowship program supported 79 fellows across five fellowship lines including Partners for Change, Public Service and Leadership, Community Engagement, Koch Community Service and the Graduate Fellowships. Fellows served a combined total of 7,000+ hours as volunteers and interns on issues such as immigrant services, healthy food access, mental health services and environmental justice. Powell fellows across all fellowship program lines were prominently featured during CCNY’s first annual homecoming week which included the Colin Powell School Day of Giving. Students conducted a mental health awareness campaign and participated in community garden and street tree maintenance on Amsterdam Avenue with Hope Stevens Garden and West Harlem Group Assistance, Inc.
Our Fellowship Closing Ceremony featured our President, Dr. Vince Boudreau who provided opening remarks, with a keynote address by Dr. Torian Easterling, MD, MPH Assistant Commissioner, NYC Department of Health and Mental Hygiene. Dr. Boudreau shared reflections on his time building and leading the fellowship program. While Dr. Easterling spoke of his journey to medicine and his passion for eradicating disparities in health care. Dr. Easterling has contacted the Office of Fellowships offering internship opportunities to our students. 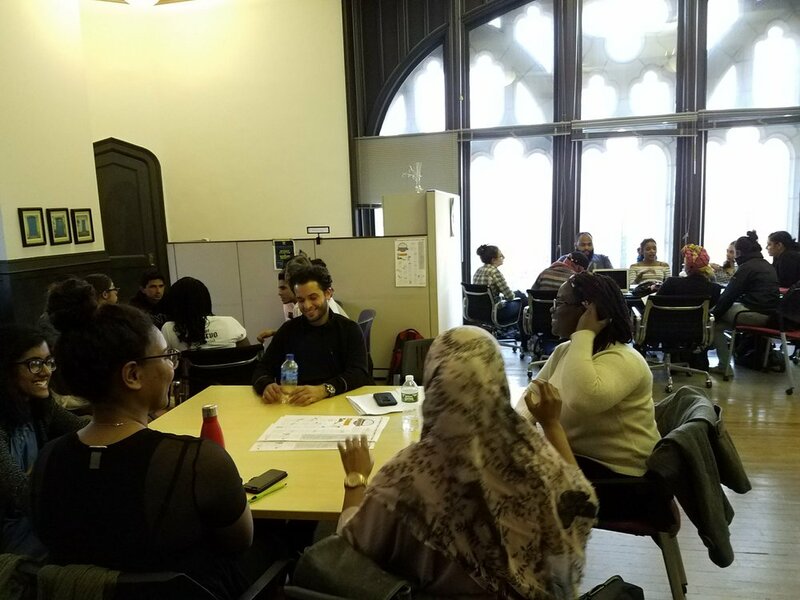 Our year-long Partners for Change seminar was facilitated by Tracey Capers, Executive Vice President at Bedford Stuyvesant Restoration Corporation (Health Justice) and Shameeka Mattis, LMSW Prison Reform and Restorative Justice Educator/ Practitioner (Human Rights). Hillary Caldwell Associate Director of the Community Change Studies Minor at the Powell School provided instruction on research methods such as Participatory Action Methods. Featured guest speakers during P4C seminars included Tanya Coke, Esq. Acting Director, Gender, Racial and Ethnic Justice at the Ford Foundation; Elizabeta Markuci, Esq. Director of the Immigrant Project at Volunteers of Legal Service and Dr. Josie Hahn, PhD who leads the Policy and Research team at the Center for Court Innovation. Partners for Change fellows served as interns at Children’s Defense Fund, Nomi Network, NYC Immigration Coalition, Young Invicibles, Save the Children, Freedom from Fistula Foundation and other organizations across the city. Several of our Partners for Change Fellows, through their internship placements and seminar research projects have been given the opportunity to present before UN delegations and will present their work at the upcoming Clinton Global Initiative University student conference in October. Instructors for the Public Service and Leadership included Allison James, Director of Education and Sustainability at the Office of Council member Ydanis Rodriguez (2nd Year / Capstone) and Anasa Scott, Program Director Office of Fellowships (1st Year). Second Year Fellows launched the first phase of a long-term project investigating environmental and health concerns of residents living in and around the George Washington Bridge Corridor. 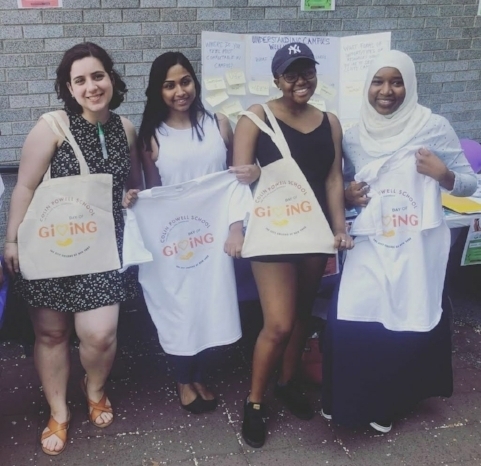 While first year fellows familiarized themselves with issues impacting local Harlem residents such as youth engagement, gentrification and land use. Featured guest speakers during the Public Service and Leadership seminars included Councilmember Mark Levine, Assemblywoman Carmen De La Rosa, Professor Andy Rich, Executive Secretary, Truman Scholarship Foundation, Genesis Abreu, Lead Organizer at WeACT for Environmental Justice as well as Dr. Vince Boudreau who stopped by on a few occasions to discuss the President’s Challenge (2nd Year capstone project). Students also spent considerable time meeting with local grassroots organizations such as P'lante specializing in housing rights for Latino immigrants, Sanitation Coalition of Morningside Heights/West Harlem which galvanizes residents of Grant Houses around sustainability measures , Harlem Grown, teaching youth urban farming and other incredible organizations lead by Northern Manhattan residents. Highlights from our Community Engagement Fellowship program includes an immigrant oral history project that will be featured during October’s Clinton Global Initiative University and program that supports rural Sri Lankans in manufacturing smokeless cook stoves in their local communities. 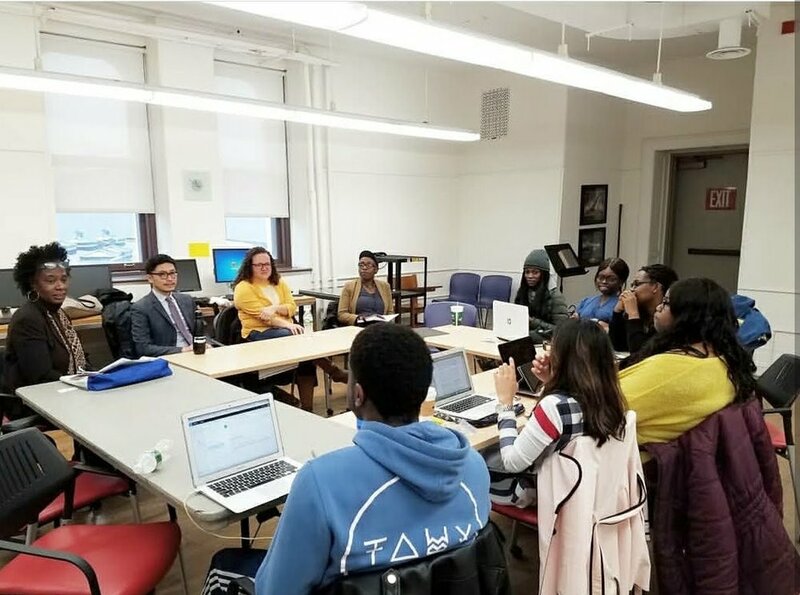 Within our Graduate New York Life fellowship, engaging five fellows, youth engagement and education were the focus of two of our fellows who worked with local schools to develop cultural enrichment curricula for youth of African descent. Mental Health was prominently featured among our graduate fellows this past year with two PhD students and one MA student working on disparities in mental health access, stigma in mental health care and improving services for pediatric patients. Koch Community Service fellows participated in several professional development workshops and served at NGOs, community based organizations, and government agencies such as the Department of Health and Mental Hygiene, NY Peace Institute, Office of Congressman Jerry Nadler and Harlem Grown. There were so many great moments during the fellowship program, it would be impossible to capture them all in this blog post. However, we encourage you to send us your favorite moments in the fellowship so we can share them on social media. Feel free to include photos and short videos. Continue to keep us posted on the work your doing in service to your communities. Stay in touch! we're on Twitter,Facebook, Instagram and Linkedin.